Thanks for choosing Apartment Finders Absolutely free service. Please submit the form below and an Extended Stay Corporate Housing Specialist will contact you! 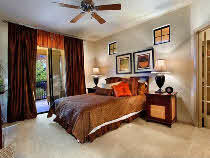 Are you looking for extended stay apartments or corporate housing in Arizona? If so, Apartment Finders corporate housing division may be able to assist you. Short term apartments are difficult to find in Arizona, but with Apartment Finders free service short term housing options are sent directly to you. Please feel free to contact us at 602-889-3061 to see what type of corporate housing options we have that fits your needs. Thanks.